No need to check the pulse on your favorite show. Good news, people who love to sob buckets every time you watch TV: Grey's Anatomy is seemingly never going off the air! Entertainment Weekly reports that at the Television Critics Association’s press tour on Tuesday, ABC Chief Channing Dungey is told them not only will Grey's be around for another season, but hopefully for many more seasons. Dungey likes to compare the future of Grey’s Anatomy to medical series ER, which ran for 15 seasons. By comparison, Grey's paltry 13 seasons is looking a little sad! "That’d be lovely," Dungey says when asked if it could go as long as ER. "I’ll take even more! Honestly, I think that the show is going to continue as long as [creator] Shonda [Rhimes] and the gang have a creative passion for telling those stories. At the moment, it feels like we’re full steam ahead." As for what Grey's needs to do to keep the fans interested, Dungey says: "What Shonda and the team at Grey’s have really been able to do over time is continue to bring in new characters that give the series additional life and energy while remaining true to the core cast of characters. When I’ve been looking at the fan feedback and reaction from this season, people are more interested than ever in the relationship between Meredith and Alex [Justin Chambers], and these are two characters that have been around since season 1. But we’re now experiencing them in a totally different way than we have before. That’s just what the writers do so well; they continually peel back new layers of these characters that we get to expand and explore." 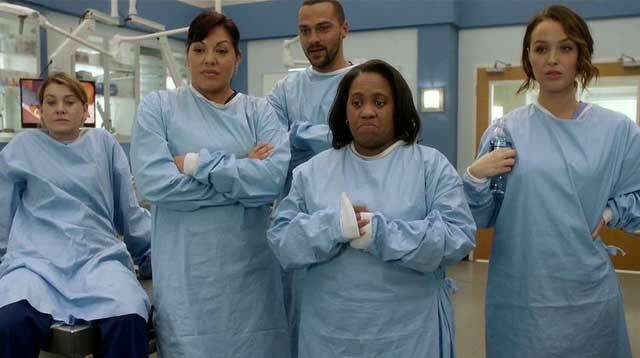 Seeing as Grey’s Anatomy is one of ABC's most successful scripted series, with an average of 11.6 million viewers tuning in each week, it's hard to see it going anywhere. That said, it doesn't mean that beloved characters are constantly in peril of getting the axe. I swear, that hospital is the most dangerous hospital in the United States. Stay away if you want to stay healthy is what I always say!